'PROJECT: MikuMiku Movie!' part 01: prepare the first scene! … but no, seriously, lets talk about movies! No, I don’t mean the new Thor movie. OR Frozen. Oh well … I wouldn’t expect you to. It hasn’t been made yet; key word here being YET! ‘Project: MikuMiku Movie!’ is UNDER WAY! And youve been invited to watch it all unfold! Every glitch, every crash, every deleted scene and blooper! I plan to document every mishap and screw-up; just for you- I think. *Fishing for suggestions* First order of buisnes, MIKU. Were gonna need Miku models right? Let’s use about 95 Miku models to start with. 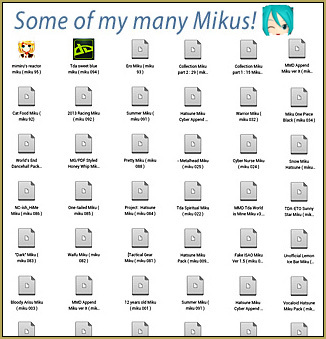 (spoiler* Miku raises an army of Mikus *spoiler.) But don’t all the creators deserve credit? Yea! So let’s show them our bookmarks! “Now what do we do after we document our models? FIND MATCHING OUTFITS ! I mean STAGES! Why cant I just use one stage? Because its not pretty, that’s why … and movies have scenes! Pretty matching scenes! So when Hatsune Miku meets Racing Miku, we have a racetrack stage, right? Right! Where do I get one of those? Oh my… this will work! We have everything we need for the first scene now! End Part One … of many! I tried to make a movie. 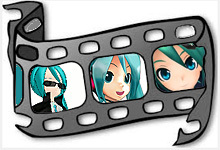 I’m new to MikuMikuDance and I want to make my own but I don’t know how. Please help me learnmmd?! Hmm…first off…make sure you already get the hang of animating in MMD to begin with. 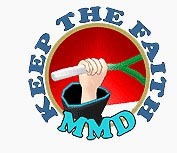 MMD’s learning curve is quite steep, so it might be important to take things slowly at first. Done with memes? Then you can try making your own original short animations! We have another site dedicated to give some “ideas” for your short projects, which is ideally 450 frames long! Now that you’re pretty much confident with MMDing, then you can tackle the movie projects! Note that since “movies” are long, and MMD will have some issues if you overload it with too many models at once (depending on your hardware capacity of course). It’s better that you do them in “parts” and then use another video editing software to combine them. Self promoting aside (^^;), the most important thing is to have fun with MMD. You can’t expect to become good and make a movie in one day, but a bit of work and training and you’ll find yourself as an Ace Animator in no time! !